The Chocolate Muffin Tree: Watercolor Heart Snowflakes Were A Hit!! Thanks to The Artful Parent Blog we created these spectacular coffee filter watercolor snowflakes! My daughter Cassie wanted to create these every day for the past few days! 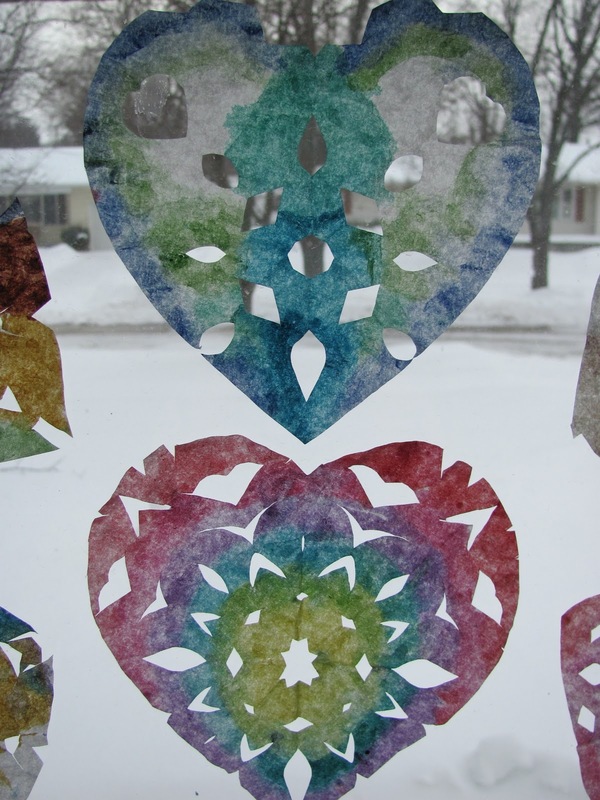 Cut out hearts from coffee filters, refold to create snowflakes, and then watercolor! So simple and so fun! I think Mom enjoyed it just as much! We could do these again and again! Thanks to all who left all these wonderful comments! They were erased!